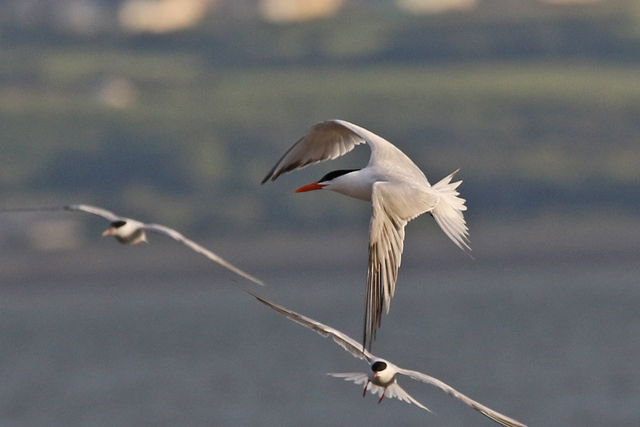 It really was a massive bird, and at one point in time as it flew over it actually spooked all the other terns for some reason. 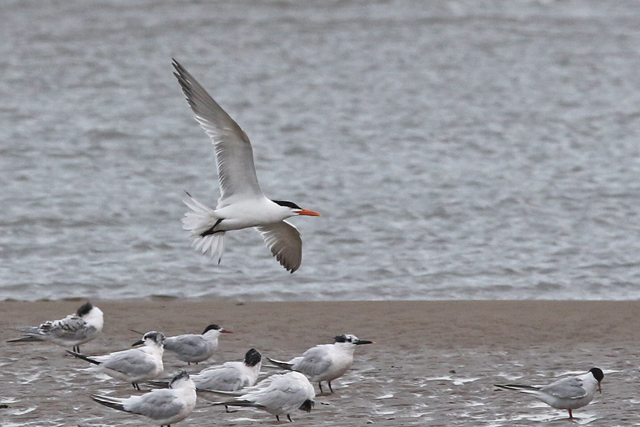 With a gammy leg and full black cap, this Royal Tern was the same as that in Mayo a week ago and lays to rest a species I've chased three times unsuccessfully in the past. I had a brief trip to Black Rock during the day too, where three juvenile Curlew Sandpipers and a couple of flag ringed Sanderling (from Greenland/Iceland - awaiting results) were nice to see. So all in all a very enjoyable day out of London!